I’m terrible at handling change. I frequently treat change not as a graceful passage from one “life” room into another, but rather as a door that somebody’s pushing me through, while I keep a white-knuckled grasp on the frame. I’d much rather swallow the feelings of loss, anxiety, and uncertainty that come with big changes in my life and never, ever think about them again. I realize that’s, uh, probably not the best approach. So when Lent rolls around, I usually find myself getting extra reflective about changes that have been going on in my life, and throughout my 20s there have been a lot of them. One year, it was moving out of the apartment I shared with two of my closest friends for six wonderful years. Another, it was making a big career shift and accepting a new job. This year, it’s a pretty big and exciting one — I’m getting married this fall. I’m so thrilled to take this step in my life. The past few months have been filled with an outpouring of love and enthusiasm from friends and family, lots of important conversations with my fiance, and no short of a million decisions about color schemes, food selections, and decor ideas that have undoubtedly been complicated by the tens of thousands of Pinterest hours I’ve presumably logged by now. It’s a such a happy, busy time in my life, but it’s also a time that’s filled with a lot of growing pains and questions. What will it feel like to be someone’s partner after only really being concerned about myself for so long? How will getting married affect my relationships with my family and friends? What are the best parts of myself that I want to bring to my marriage, and what would I rather set aside? It’s an odd thing to feel yourself changing, but I’m hyperaware of the identity shift that’s happening right now and the ways I might be resisting it. And frankly, Lent is a great time to bring these questions to the forefront. So much of Lent can be framed through the lens of letting go. We challenge ourselves to “give up” certain foods we love or habits we’ve fallen into. (This year, I’m attempting to give away 40 things to cut down on the clutter I’ve built up.) We push ourselves to be more intentional with letting go of our money and time — giving to the homeless and to charity, and reaching out to friends or family with whom we’ve lost touch. 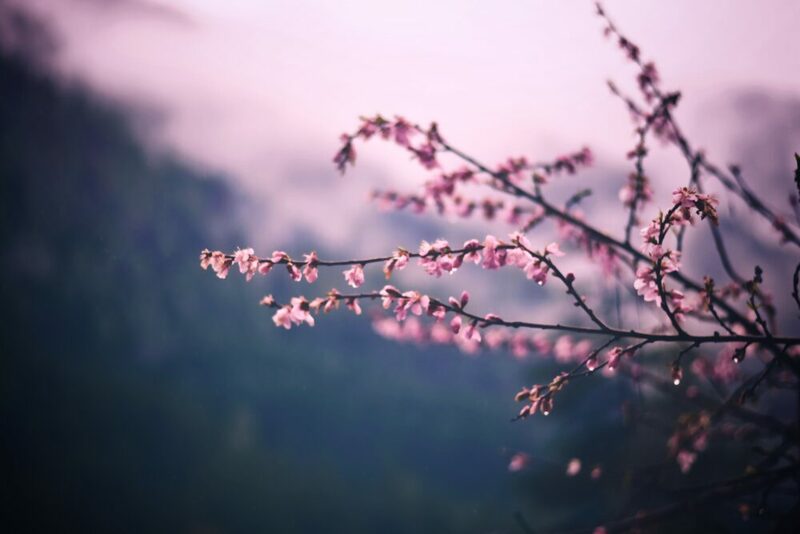 We go through a spiritual “spring cleaning” of sorts, allowing ourselves to be more reflective, learn from our sacrifices, and prune back some old branches to make room for new opportunities to bloom. I also think Lent invites us to experience the Easter story in a special way. Reflecting on Jesus’ death and resurrection prompts us to acknowledge loss and change in our own lives, and recognize where there might be an opportunity for something new, exciting, and full of potential to emerge. So, I’m vowing to allow the season of Lent to help me get better at working through change. I know that there will be plenty of it in my life, so I might as well get started now. And as I prepare to say “I do” later this year, I hope to do so as someone who will keep “doing the work” of change, pruning back those branches that will allow the best flowers to blossom.